See any TAR 18 media, news, articles, press releases ? Add them here and remember to credit the source please! Hollywood Reporter and a few other sites are reporting that TAR will be in HD next year. This is the first official indicator I have seen that there will be a next year. With the cat out of the bag - yes it's true AMAZING RACE is going HD. 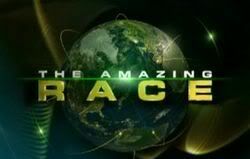 CBS announced today that the Spring edition of the Emmy Award-winning series THE AMAZING RACE will be broadcast in HD. "We're thrilled the audience watching us sprint around the globe each week will continue to witness the breathtaking landscapes that serve as our backdrops, only now in high definition. Whether we're racing alongside the crystal-white peaks of the Arctic Circle, the neon-lined skyscrapers of Japan, or the color-drenched domes of the Russian Kremlin, fans will enjoy a heightened viewing experience as we bring the world to their couch every Sunday night," said Executive Producer and co-Creator Bertram van Munster. This Fall's installment of THE AMAZING RACE is posting across the board increases versus last Fall's edition, averaging 11.69 million viewers (+4%), 4.7 in adults 25-54 (+7%) and 3.8 in adults 18-49 (+9%). This season's finale will take place on Sunday, Dec. 12 (8:00-9:00 PM, ET/PT) on the CBS Television Network. THE AMAZING RACE is a seven-time Emmy Award-winning adventure reality series hosted by Emmy-nominated host Phil Keoghan, which pits teams, each comprised of two members, against each other on a trek around the world. At every destination, each team competes in a series of challenges, some mental and some physical, and only when the tasks are completed do they learn of their next location. Teams who are the farthest behind are gradually eliminated as the competition progresses, with the first team to arrive at the final destination winning $1 million. Jerry Bruckheimer, Bertram van Munster, Jonathan Littman and Elise Doganieri are the executive producers for Jerry Bruckheimer Television and Earthview Inc. in association with ABC Studios and Amazing Race Productions. THE AMAZING RACE was created by Bertram van Munster and Elise Doganieri. For more information on THE AMAZING RACE log on to www.cbs.com. Those announcements about the HD season just came out on Tuesday. Isn't that unusually late? Now if they would tell us if its a regular cast or something else, maybe we can all breathe a little easier. the-pr0phet, that all depends. The absence of any reports in the trades on top of the lack of a season 18 application period (so far) was unusual, but a filming after the beginning of November isn't unusual. You can read the TAR 18 spoilers to see exactly what kind of a race it will be. And exactly what sort of a cast it will be. It's still nice to have confirmation. Yes it is. I'm going to smack my CBS sources who know nothing. No articles to indicate the race has started which is pretty odd. Yes actually, the article about them being in Sydney that I saw earlier...can't remember where on RFF though! There are plenty of articles out there from supposed TV insider sites that are only copying info from our detectives. Kind of useless to put those up. The spring edition of The Amazing Race, which is in production right now, will be an all-star edition, in addition to being the first season to be filmed in HD. Teams apparently left from Los Angeles on Saturday and headed for Sydney, Australia, and sightings detail the tasks they’ve had to perform. The dud of a twist, the Express Pass, is apparently back. Yay. They don’t seem that remarkable as a group, probably because they’ve all been on the show relatively recently—it’s very season 14-heavy, and that aired a year and a half ago, not enough time to make me miss them. That makes it difficult for me to get excited, especially because I’d rather the show focus on improving itself rather than just distracting us by bringing back all-star teams, which is cheaper, easier, and lazier. In addition, Australia will host North American TV show the Amazing Race, which will be filmed here in Sydney, possibly in the Blue Mountains - or even further in Broken Hill. They could at least have given us credit. the race fanatics from Reality Fan Forum have completed the list of spotted teams that will be appearing on the show. But it appears that another major production has beaten Oprah Down Under. 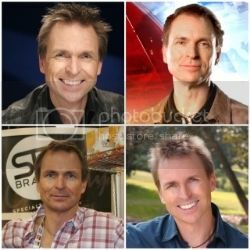 Contestants in The Amazing Race, and host Phil Keoghan, were spotted “racing” around Sydney Monday, according to local blogs and fan sites, with an overnight trip to the outback town of Broken Hill their next destination. Those episodes will screen as part of The Amazing Race Season 18, with the cast “fan favorites” from previous series. "Local blogs and fan sites. Local blogs and fan sites." I'm gonna have to go back to Sydney and crack some skulls, I think. They just don't know how amazing you are, Coutz! On the other hand, the Hollywood Reporter is mainstream industry media, and in fact we sometimes get our ratings information from them. "Quite a few locals were excited yesterday at the news that contestants and crew from the US TV reality show 'The Amazing Race' were in the city as part of their Australian leg of the show. The production crew and 11 American couples arrived in the city on two Rex chartered planes yesterday morning from Sydney, and were picked up by several four-wheeldrives. The show has couples race across the globe, doing crazy things at each destination. Rotary and St Johns Ambulance were at the old Junction Mine yesterday with the crew and contestants while they filmed a sequence for the show."